Carpal Tunnel Syndrome (CTS) is often also (mistakenly) called Tendonitis of the Wrist. Officially, 'True' Carpal Tunnel does not have a Tendonitis component. But it can, and almost always does, and that has the potential to confuse doctors. The problem is, unless you know what you're looking for, it's not obvious. Doctors look at symptoms. They don't look at causes. Causes of CTS symptoms are FAR more important to deal with than the wrist symptoms themselves. Despite what you'll see everywhere else, CTS is neither a narrowing of the Carpal Tunnel, nor a compression of the median nerve. CTS, like all syndromes, is nothing but a LABEL for a collection of symptoms. Click here for greater detail about Carpal Tunnel Syndrome Symptoms. Just like Tendonitis, Carpal Tunnel Syndrome usually comes on slowly over time. You notice some tightness, some ache and pain. Time passes. It gets worse. You start to worry about it. It gets worse. You notice that it hasn't gone away yet. It gets worse, and for longer periods of time. You go see a doctor and get diagnosed. To you understand CTS, you must understand the tendonitis dynamic. See: What Is Tendonitis? So if you have a Carpal Tunnel Diagnosis, or are just worried that you have CTS, what does that mean exactly? It means that you probably use your hands a lot, keyboarding, mousing, knitting, cutting hair with scissors, etc. It means that along with a huge amount of Inflammation, there is a physical dynamic going on in your body, a Pain Causing Dynamic that is leading towards pain, and will continue to do so. It means that you are looking for a fix to the problem. Click on the links to find out the good and bad points of each of those options. 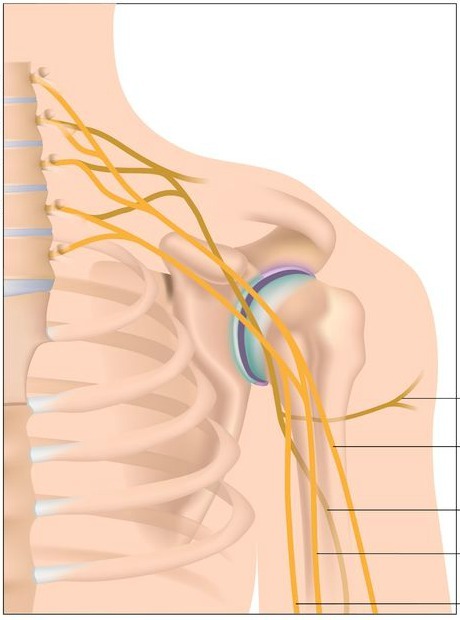 To 'confirm' the diagnosis, doctors will often perform a Nerve Conduction Test. 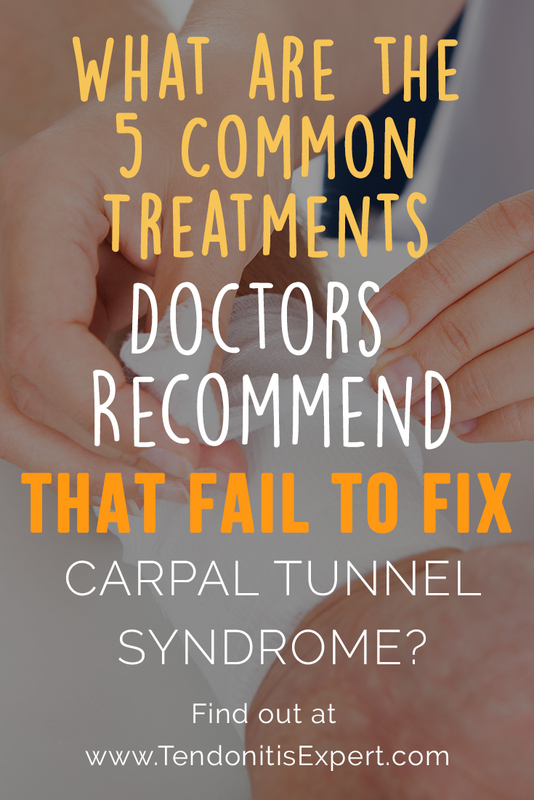 Hopefully, your doctor will reserve recommending Carpal Tunnel Surgery as an EXTREME, last ditch effort. Even then, unless there is a tumor or some real problem in your wrist, there are options that work naturally and quickly for even the most severe symptoms. Here is a list of questions you can ask your doctor to see if s/he is the right person to entrust your care to. There are also questions to ask if surgery has been recommended as a necessary option. You're probably here because you are facing Carpal Tunnel Surgery, or you are afraid you soon will be, or you're starting to get worried because your pain is getting worse and is not going away. The good news is, once you have the RIGHT information, you can quickly and easily reduce your symptoms -and- continue your daily activities that cause your pain in the first place. There is a bunch of the RIGHT information about how you can immediately start reducing your pain on the How To Reduce Inflammation page. NOTE: It's also interesting to note that Inflammation causes Vitamin B6 deficiency. Find out more on the CTS and Vitamin B6 Deficiency page. The bad news is, there is a huge amount of information and advice in books and on the internet. The medical community devotes huge amounts of manpower and resources trying to deal with Carpal Tunnel Syndrome. Yet wrist pain from issues like Carpal Tunnel Syndrome is still at epidemic levels. Hmmmm. Something must be missing. The good news is, this website is filled with information that you aren't likely to find anywhere else, like this next tidbit. For instance, did you know that the same dynamic that causes CTS can cause Arthritis? Learn about the Carpal Tunnel and Arthritis connection. And did you know that Carpal Tunnel symptoms can be caused by Thyroid Conditions? CTS and Thyroid Conditions. NOT Just A Wrist Issue! Your doctor and your surgeon will (almost always) tell you that Carpal Tunnel Syndrome symptoms in your fingers, hand, and wrist all comes from your wrist. The theory is, the carpal tunnel there at the wrist is 'narrowed' and thus compressing the nerve that feeds the hand and fingers. Sometimes that's true. Of course, doctors and surgeons seem to never ask WHY the carpal tunnel is compressed or HOW it got compressed. They just move you through the normal methods towards surgery. But what if the symptoms aren't coming from compression at the wrist? Then you get surgery for nothing and still have all your symptoms plus the injury surgery causes. Said in another way, the 'problem' that is giving you pain and numbness in your wrist and fingers does not come from just a single isolated spot in your wrist. Your CTS didn't just show up out of the blue. Various factors in your body all conspired together to create a pain dynamic. Carpal Tunnel Release Surgery may reduce your symptoms temporarily, but it does not deal with the source, the cause, the dynamic, of your pain and limitation. Here is a summary of different possible Carpal Tunnel Syndrome Causes. To successfully heal yourself, you need to put all the information available into a complete and accurate picture. If you just take pieces, you'll continue to suffer. Warning! -- It will take some effort on your part. Everything on this website is designed to get you out of pain, and keep you out of pain, with a minimal amount of time and effort. And the Carpal Tunnel Treatment page will give you more important, helpful information. Do You Want To Be Free Of Your Carpal Tunnel? It has EVERYTHING you need, and ONLY what you need, to make your Carpal Tunnel Symptoms and pain go away, and stay away, so you can get back to your pain free life. Have A Question About Carpal Tunnel? Do you have a question about Carpal Tunnel Syndrome, or an interesting story about it? Please ask it and/or share it here, and I will respond to it promptly. Enter A Title For Your Question Here. Your Question and/or story will appear on a Web page exactly the way you enter it here. Tingling and numbness in fingers - is it Carpal Tunnel Syndrome? Return to the the top of this Carpal Tunnel Syndrome page.